The objective of this research is to develop and apply community identification algorithms to predictied results of the Discrete Particle Method (DPM). The latter provides a detailed information about the processes in granular matter, however,in order to gain a broader understanding and insight, additional postprocessing of the simulation and, possibly, experimental data is necessary. Since granular matter consists of a large number of interacting particles, one approach is to represent the particle interactions by a graph where the particles are represented as the graph vertices and the relevant interactions between the particles are represented as the graph edges. The algorithms known from graph theory can be thus applied to analysis of particle sets. A problem of identifying clusters of similar particles, e.g., groups of particles having similar values of temperature e.g. hot spots and cold spots, or groups of particles of similar size e.g. size segregation, can be made equivalent to a known problem of community detection in graphs. A number of community detection algorithms has been proposed, and this is currently an active area of research. Application of community detection algorithms for analysis of granular matter has its own specifics, therefore, the standard techniques have to be specifically adjusted, and new algorithms and approaches taylored for the particular tasks of structure identification in granular matter are the subject of the current research. 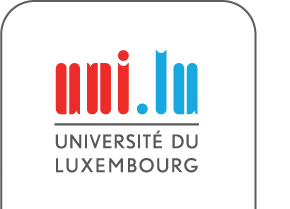 The research was through resources of the University of Luxembourg.